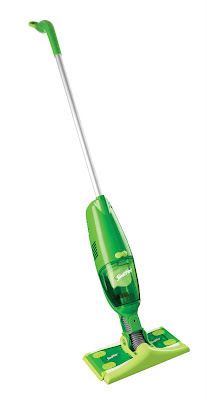 We are the proud owners of a rare and beautiful Swiffer Sweeper Vac, which we imported from Canada this Spring. Dare I say this is the only one on the island? On my list of things to save in a fire it is number four. It boggles my mind why Proctor & Gamble doesn't sell this little beauty in Malta. With tile floors as far as the eye can see and a perpetually dusty atmosphere (plus two dogs who are loosing their coats like it's their job) our Swiffer Vac is feeling right at home. On a related note: what tips and tricks do you have for cleaning your Maltese flat? We can't ever seem to get our windows clean (there's no Windex brand in Malta either) there is always that little bit of streakiness that is enough to drive this Type A cleaner crazy. And I already grind my teeth in my sleep, so I don't need anymore crazy around here. Do you get mould in your flat? Where, and how do you clean it and keep it from coming back? Does dishwasher salt confuse you? How do you cook a Thanksgiving turkey in a teeny tiny European oven? Are you an expat living somewhere else, and what crazy cleaning or domestic god/dess conundrums have you been faced with? Do tell. Hahaha, I love this! Living abroad really makes one appreciate the small things! I bet that Swiffer makes you smile every time you take it out! This spring we emptied out two rooms and washed the walls & ceiling with bleach water then painted everything with anti-mold paint. It was a total pain and we will see if it worked this winter--so far, no mildew or mold. I agree about the windows--the best way we've found is by using a squeegee (how to you spell that?! )instead of doing it by hand. Seems to provide the least amount of streakish; although they're never perfect! Great tips Allison, thanks! That does sound like a pain, but anti-mold paint sounds interesting. What paint store did you get it at? I found using news paper to clean windows helps a lot. It takes of the grime and helps to get a streak free window. And for mold a good anti mold paint or use Sigma paint, a very high quality paint, I used it in the entire house and no mold, not even the bathrooms. And keep the windows open, especially in the winter.